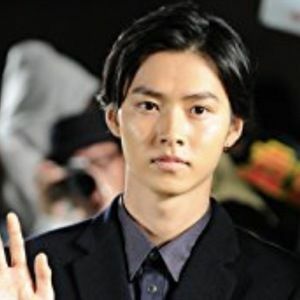 Japanese film and television actor known for his recurring roles in shows like The Female Teacher in Black, The Glory of Team Batista, and Suikyû Yankees. He also portrayed the character L in the live-action adaptation of the popular anime series Death Note. His career began as a model when he was recruited in his third year of junior high school. By 2010, he'd made his acting debut in Atami no Sousakan. He has had leading roles in a number of acclaimed films including Orange and Heroine Disqualified. Born was born in Itabashi, Tokyo and raised there with his parents and older brother. He starred alongside Kasumi Arimura in the 2014 drama Yowakutemo Katemasu.